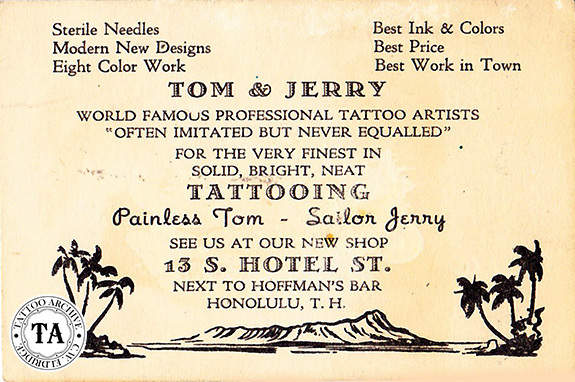 Volumes have been written about Norman Keith Collins, better known as Sailor Jerry and Jerry’s impact on the tattoo world. Thanks to D.E. Hardy and Mike Malone, we have Sailor Jerry books, flash, calendars, flocked wallpaper, his own signature rum, a movie and so much more. One part of the Sailor Jerry story that we think has been left behind is the story of his machines. Jerry pushed everything in his life to the edge, and was always looking for new and better ways to get things done. His idea of a good working tattoo machine was always up for improvement. During the 1950s and 1960s things were changing in the tattoo world. Cities were updating their health codes, often with pressure from nearby military bases, and were adapting the single service set-up that we now take for granted. Forward thinking tattooists who realized that single service was becoming the new standard for their business started working on ways to modify their machines for these new requirements. 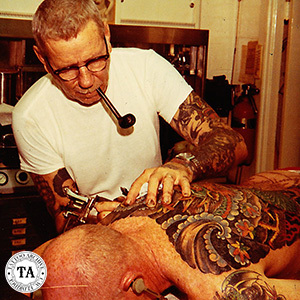 One of the biggest changes in tattoo machine design in the last 100 years was the modification of the tube vise. How interesting that this was driven in part by new health law regulations! It used to be that the tube vise was often the weak point of a machine. The old style pinch vise didn’t work very well when it came to changing the tube and needles between tattoo customers. The vice was designed to hold the tube securely in place but made it difficult to remove. Because tube diameters are not standardized, some tubes would fit too loosely while others too tight. In order for the tube vise to grip correctly the tube diameter had to be compatible with the vise itself. If the pinch bolt is over-tightened on a cast frame, one side of the vise could break off and the machine would need to be repaired or scraped. If the tube was too large for the vise, the tube would have to be wrestled into place or it would not fit at all. Machine builders during this period came up with some interesting ideas to solve this problem and Sailor Jerry was one of them. The first image shows one of Sailor Jerry’s more interesting tube modifications features the use of a sliding door track. Tubes could easily be slid off the bottom of the frame by loosening the thumbscrew. In the second, Jerry had the idea of cutting the old tube vice off and bolt a better one on. Generally on a cast frame, the new tube vice would be bolted onto the bottom of the frame, but here Sailor Jerry is using it as a tube vice and yoke for the aluminum frame. 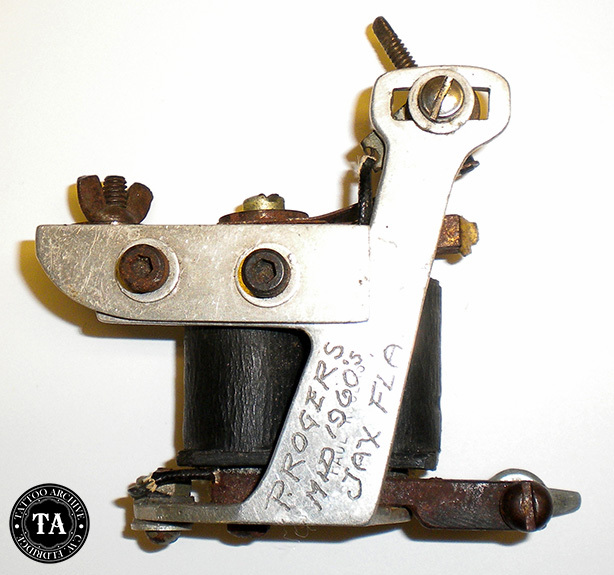 Want to learn more about Sailor Jerry's tattoo machines? See Sailor Jerry's Tattoo Machines in our online store.